The University of San Diego Concert Choir is a vocal ensemble of students from across the campus community dedicated to the performance of choral repertoire for mixed ensemble, men's, and women's voices. Comprised of experienced singers from across the campus, this ensemble performs regularly in concert and worship on campus and in the San Diego community. 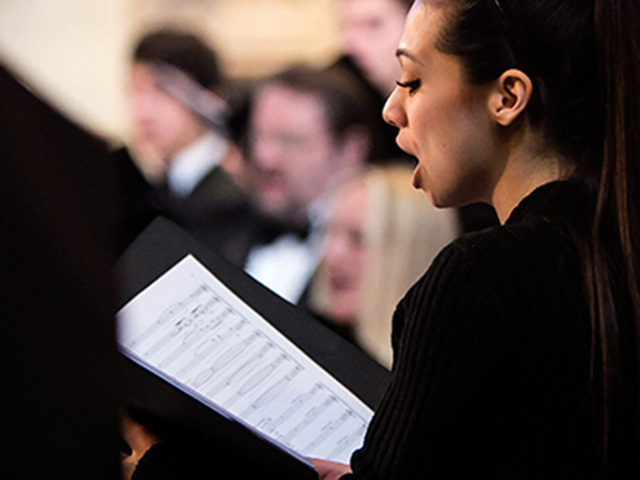 The Concert Choir performs from a broad range of genres and styles, from large choral-orchestral masterworks to folk songs from around the world in a wide variety of languages.